We Composite Bonding! 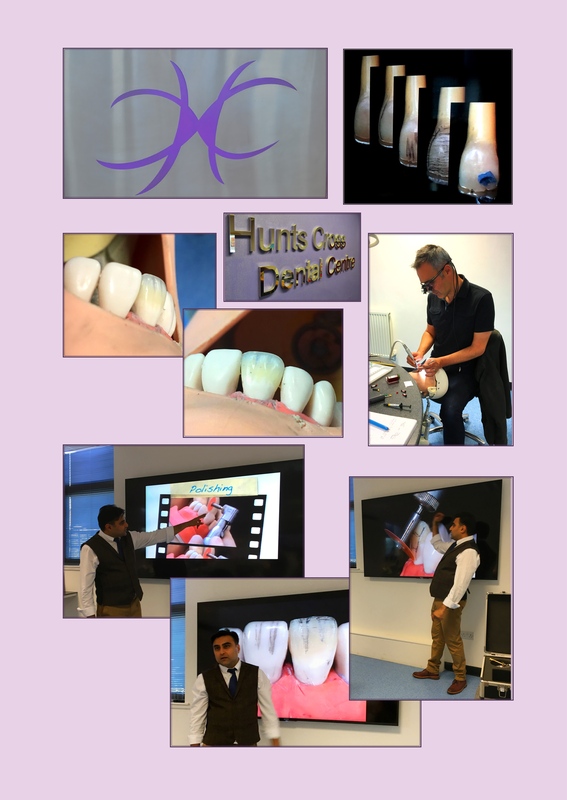 We recently attended an inspiring course by the talented Mr Nadeem Younis, where we picked up some fantastic tips on re-creating natural effects in teeth when rebuilding them out of composite resin. For those of us interested in science and nature teeth are fascinating little beasts; a hard, glassy translucent enamel layer featuring microscopic bumps, cracks, and undulations, then underneath this a living, off-white dentine layer, and in the centre of each tooth a tiny nerve that certainly lets us know when we’re abusing our teeth! On the course we learned how to rebuild teeth in layers to mimic the natural structure of the tooth and give a harmonious appearance. We love Composite Bonding because it is ‘additive’ or ‘non-destructive’ – unlike porcelain veneers we often don’t need to drill the teeth. Also in most cases the procedure avoids the need for a local anaesthetic – so NO needles! We love Composite Bonding because it enables us to make the teeth as natural as the patient would like. It’s the ideal material for a designer smile, as it can be adjusted, added to, rounded off, squared off or just about any shape you want! Over the next few weeks we’ll be blogging some case photographs to show you just what composite can do, so watch this space. Also check out our gallery pages for some of our recent cases. If you’re interested in getting the smile you’ve always wanted call our brilliant team on 0151 486 2697. We offer a free consultation if you would like to chat about any options. Otherwise our full new patient examination is £35. We have our ‘Simply Dental’ membership scheme which provides all of your normal dental treatment for around 50p per day, or if you have extensive treatments such as cosmetic dental work, then we can help you arrange finance for this. Hope this helps, but if you have any further questions please contact Helen, Tracey or Annette at reception on 0151 486 2697. This requirement is balanced against forces created on remaining tooth structure and composite material. Forces are analyzed by direction, frequency, duration and intensity. High force occurs with low angle cases, in molar areas, with strong muscles, point contacts and parafunctional forces such as grinding and biting finger nails.